Gothenburg, 28 September 2017. The 43rd European Conference on Optical Communication (ECOC) proved why it is Europe’s leading conference for the fibre optic industry after a series of world firsts this year, including the new world record for the amount of data transmitted through a single optical fibre. Along with close to 1300 leading industry professionals attending to discover the latest breakthroughs in optical communication, major achievements arose from the 18 contributions from post deadline paper submissions. The data transmission breakthrough came from researchers in Japan, breaking the current record by a factor of five and reaching a total transmission of 10 million gigabits per second (10 Petabits/s). This year also marks the first time the conference is sustainability certified, making it one of the first and largest sustainability certified conferences in the world. Other environmental endeavours this year included using the budget for gifts to instead provide solar powered LED lights to school children in India, selecting ecological ingredients for the food, and introducing a Green Platinum Sponsorship. More than 425 presentations and 55 technical sessions covering eight topic areas took place over the week, with the workshops on Sunday also proving a major triumph, growing into six tracks with over 800 attendees on the day. The opening plenary and keynote speakers were also a main attraction to the event in Gothenburg, providing live demonstrations and explanations of the latest developments and initiatives from Google, Square Kilometre Array and NTT, as well as a history of Nobel Prizes in Photonics. The event saw a constant flow of optical innovations throughout the week. This year also saw record numbers for the ECOC Exhibition, after it sold out all space to its 327 exhibitors and attracted more than 5,900 visitors to the venue Svenska Massan. “With technology constantly changing and evolving, it can be hard to constantly stay on top of current trends. 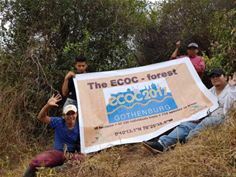 But the ECOC Conference consistently proves that it is the best optical conference to get top information on new innovations, and this year has been no different,” said Professor Sverre Eng, a retired emeritus of the optical field who chaired the conference when it first took place in Gothenburg 28 years ago. The ECOC Conference 2017 was jointly organised by Chalmers University of Technology, RISE Acreo and the Technical University of Denmark, with Ericsson and Telia Company as guarantors. Many social events were also hosted for the delegates, and were a major success, with the City of Gothenburg even hosting an evening at Universeum Public Science Centre and Museum for attendees. ECOC Conference 2018 will take place in Rome, Italy, from Sunday, September 23 to Thursday, September 27. Please visit http://www.ecoc2018.org for more details. The European Conference on Optical Communications (ECOC) is the largest conference on optical communication in Europe and one of the largest and most prestigious events in the field worldwide. The conference takes place in a different city in Europe each year, co-locating with the ECOC Exhibition. Topics for 2017 are Fibres, Fibre Devices and Fibre Amplifiers, Integrated Optoelectronic Devices and Optical Processors, Digital Techniques for Optical Communication systems, Transmission Subsystems and Optical Network Elements, Datacom and Computercom Hardware, Point-to-Point Transmission Links, Core, Metro and Data Centre Networks, and Access and Indoor Networks.